Gosh this post is well overdue – one issue in the Canaries is that the wifi connection at all the marinas is rubbish and buying a sim with enough data to be any use is impossible. We are now into using café’s which takes a bit of getting organised and we have been having too much fun! 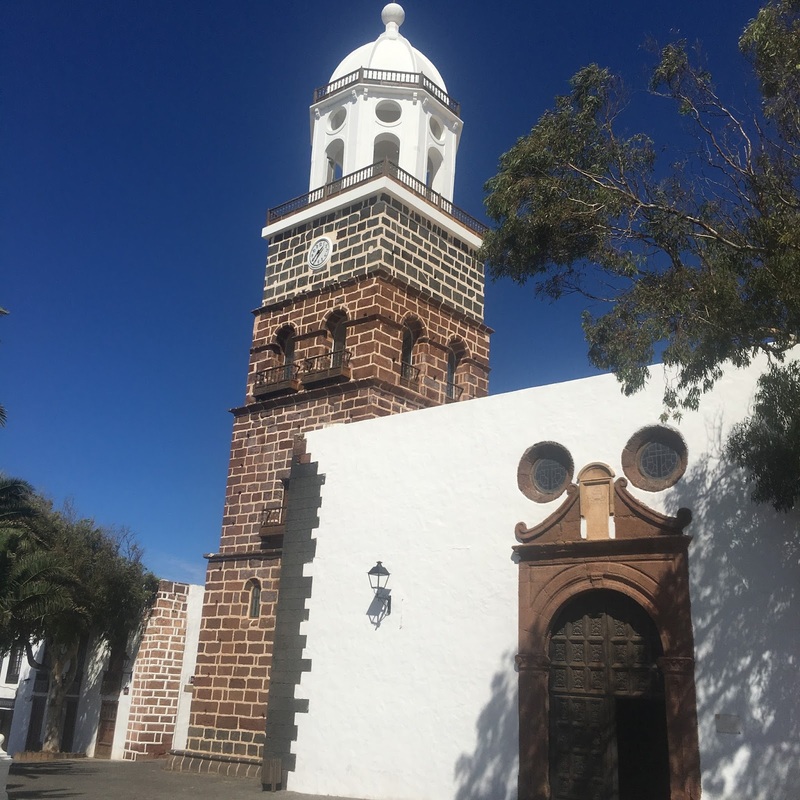 We had a good stay in Arecife and Andrew negotiated a great deal on a hire car so we got the chance to explore the island and get fuel and food. We were here 11 years ago but were so busy fixing the boat we never got the chance to explore. At first we found the landscape quite bleak and harsh, however it really grows on you, it’s kind of clinical and neat. 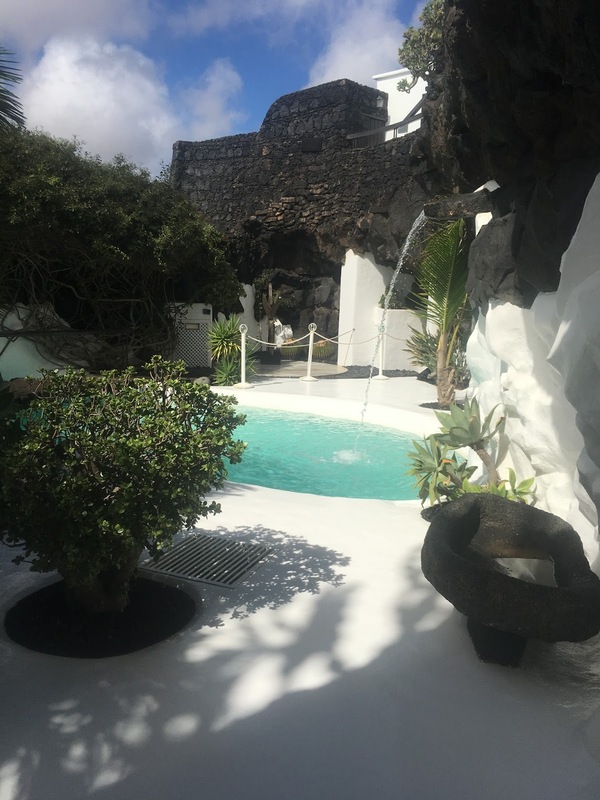 Cesar Manrique was the artist and architect who influenced the style of the development on the island and his house built around a series of volcanic bubbles was just amazing. Lunch on day one was at the old capital of Teguise – a really different feel than other towns on the island. 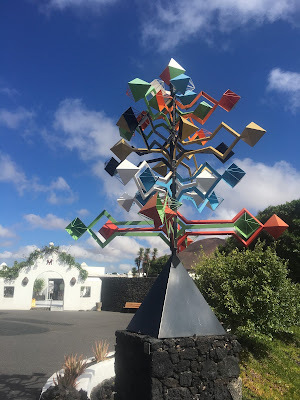 Day two and Timanfaya National Park was a bit of a surprise when we had to go on a bus tour to see the park – especially as we had come with our hiking boots – however it was stunning and if we had known we had to go on a bus we probably wouldn’t have gone. 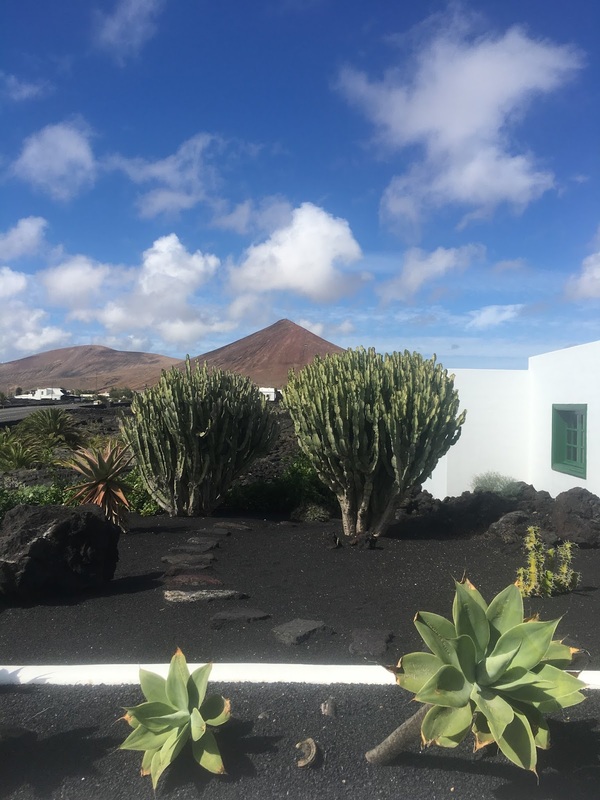 We had sundowners at the small fishing village of El Golfo and went on a memory lane trip to look over La Graciosa where we spent 6 weeks on our last trip here and revisited Marina Rubicon; where we had sat out the only Tropical Storm to hit these islands in like forever – Storm Delta. 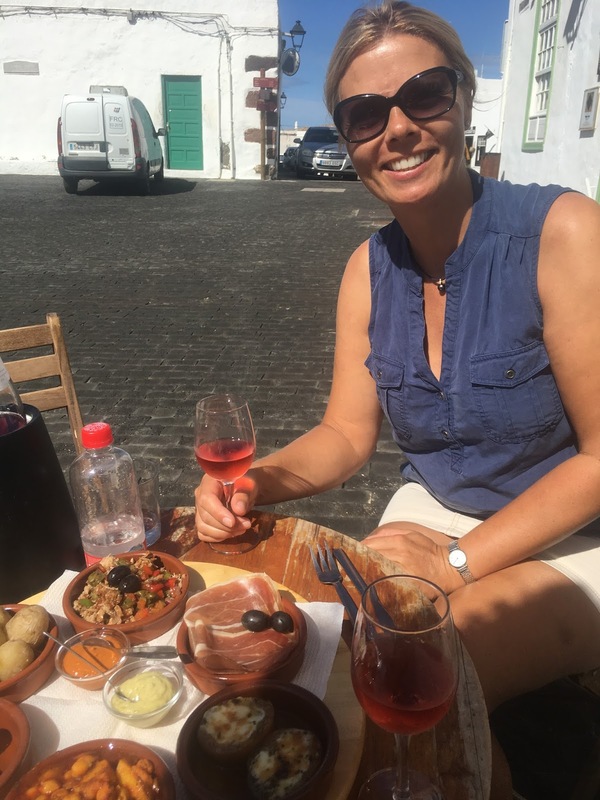 We were keen to get to La Graciosa and had applied for a permit to anchor; as we left the marina the email came in to say we had a permit – brilliant! North we went and had a great sail. The anchorage at La Graciosa is one of the best in the Canaries, and of course was busy, however it was just stunning. As we dropped the anchor into the clear water we felt like we had arrived; a swim before sundowners and we were in heaven. 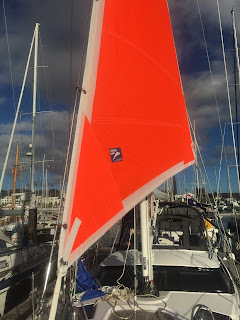 The next day the dinghy went in and we explored the volcanoes around the anchorage and made a BBQ. A calm morning arrived on our third day so we decided to head to town by dinghy – 2/3 miles. We topped up the fuel and packed the dinghy properly with emergency gear and whizzed off. 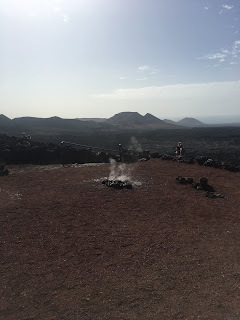 All was going well until a bit of wash hit us and the engine stopped in the middle of the Rio (the gap between Lanzarote and La Graciosa – see above picture). Andrew tried everything but there was nothing else for it but the paddle back two miles to Askari, bloody hell it was hard but we did have some current helping some of the way – we could have called for help and were not really in danger but it did teach us a lesson. It turned out the fuel we added was dodgy!!! 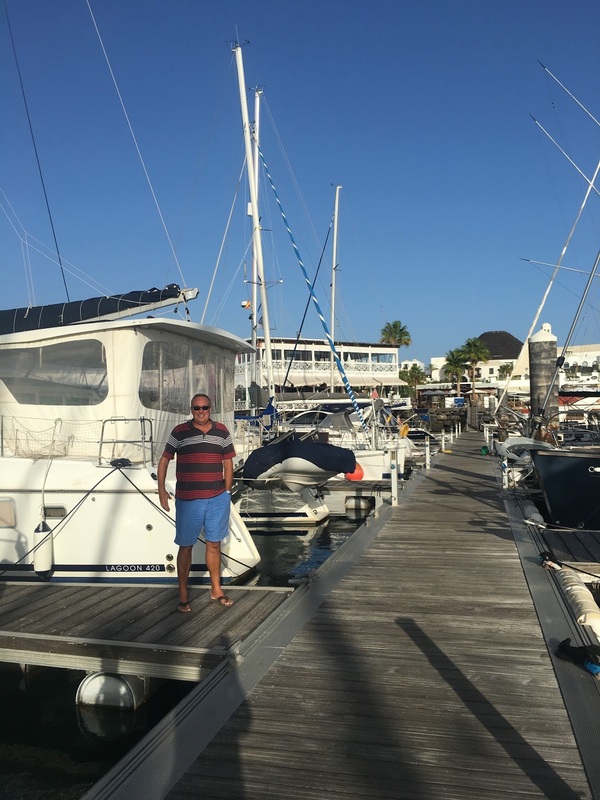 With no dinghy we left La Graciosa and headed to Rubicon on the South of Lanzarote, one of the best marinas we have been to. It has great big berths, a pool, and nice restaurants and a great sailors bar. We stayed longer than we had planned as we heard from Oyster that a new 625 was to be handed over here by our project manager John – so we couldn’t leave without welcoming him back on Askari. He also agreed to bring out a few goodies for us, including replacement cockpit cushion foam – yes I think he got strange looks at check in. OCC members Colin and Bec from Zulu Warrior hunted us down – oh my goodness I think it’s just as well we didn’t meet these guys earlier we had two great nights of drinking and eating too much but couldn’t persuade them to sail on – sadly. Tidying the lazerette (locker at the back) -what alot of rope? 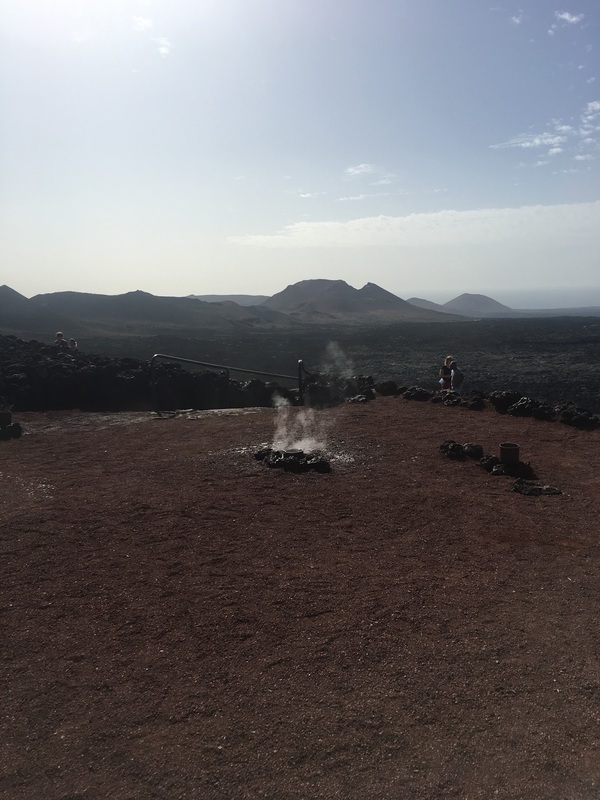 We did some work too – getting Askari ready for the next big trip…..